Please note that use on painted surfaces (e.g., to remove graffiti) will require subsequent compounding and polishing. RD-90 retards rust, drives out moisture, lubricates, and penetrates rust on any metal. Harmless to paint, plastics, rubber, fabric. Does not contain silicones. Use RD-90 on automotive, boat & marine equipment, sporting goods, household items, and locks. Spray on metal hardware. Dries out wet ignition systems and motors and stops battery corrosion. 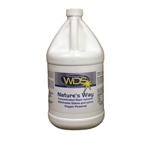 Use on fishing tackle, guns, and tools- Any metal item where lubrication or rust and corrosion protection is needed. Restores dull and discolored plastic headlight lenses so they look and perform like new. A repair takes only about 10 minutes and is both safe and easy to do. Kit will repair at least 12 lenses. Improves headlight performance, increases night-vision illumination, saves the cost of replacing expensive headlight components, increases resale value. Jescar Micro Finishing Polish is a high quality formula that helps eliminate P3000 grit sanding marks on fresh paint and swirl marks, light oxidation, haze, and other light imperfections. 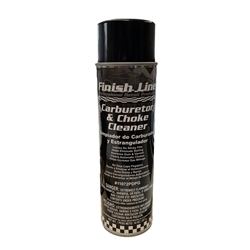 Repair cigarette and other small burns on upholstery, sun visors, door panels, headliners and more with this easy to use system. Each kit contains 27 OE automotive interior velour jars, 1 velour puffer bottle, 1 bottle of velour adhesive, 1 dual-end detailing brush, foam (base for deeper burns) and 1 razor blade, all in a handy carrying case. Sufficient velour to repair over 1,000 burns.Generate new profits for your business! 1500 lumen corded underhood rechargeable light with a 40" light bar. Hooks extend 47" to 75" with large padded hooks. Oil resistant 25 foot cord remains flexible in extreme cold weather. 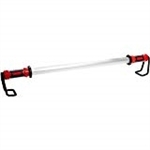 2000 lumen 2in1 corded/cordless underhood rechargeable light with a 40" light bar. Hooks extend 55" to 83" with large padded hooks. Wider design fits new SUVs and light trucks. Removable 25 foot cord.